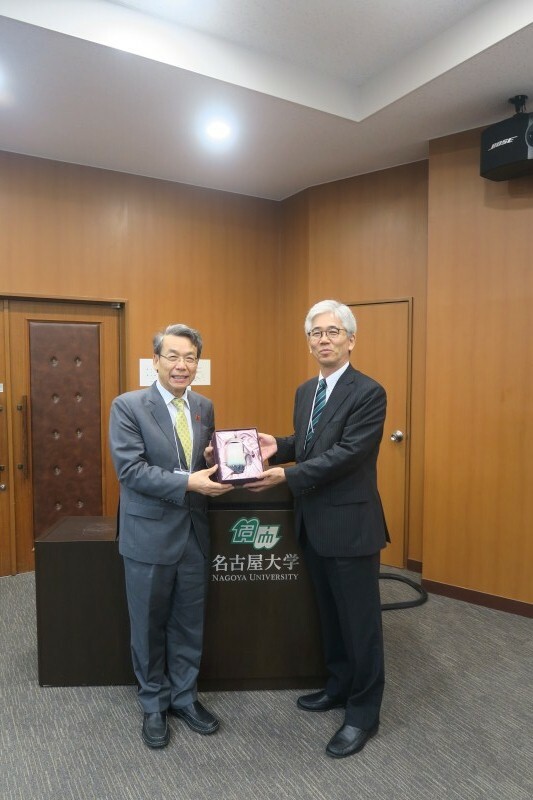 On June 18th, Chancellor Wen-Hwa Lee led 6 CMU delegates to join the CMU-NU Joint Symposium in Japan. The two universities agreed on the exchanging of medical students and professors, and will work hand with hand on cancer research in order to find out the causes, the pathogenesis, and breakthrough treatments of cancers in the future. The root of Nagoya University can be traced back to 1871. It is one of the 7 Imperial Universities in Japan. As of today, six Nobel Prize winners have been associated with Nagoya University. 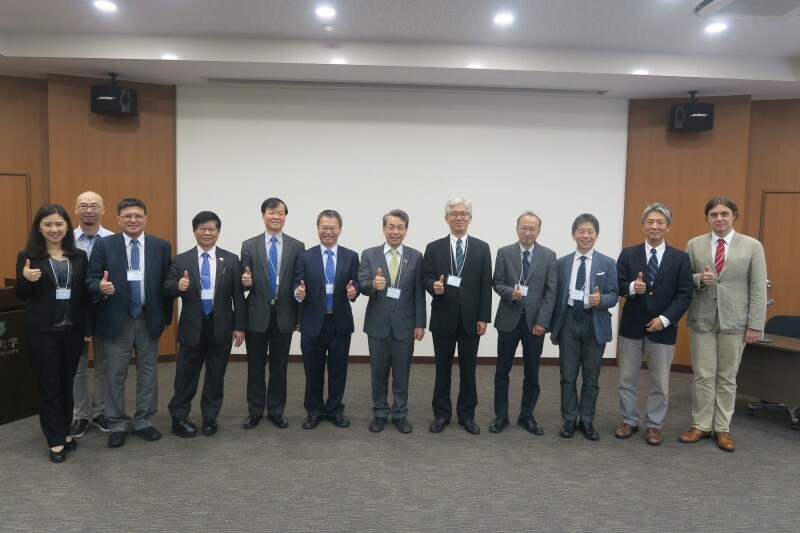 The CMU delegates, together with Professor Kenji Kadomatsu - Superintendent of the college of Medicine, Vice Superintendent Hideki Kasuya, and Superintendent of Eichi Cancer Center- Takashi Takahashi, held the first CMU-NU Joint Symposium. During the symposium, the scholars shared research advances in the field of cancer, stem cell, and aging. After the symposium, the two universities reached consensus on exchanging medical students and professors, and holding joint symposium termly. Furthermore, Director Kou-Juey Wu from CMU Research Center for Tumor Medical Science will collaborate with Superintendent Takashi Takahashi from Eichi Cancer Center to search for the causes, the pathogenesis, and the breakthrough treatment of cancer.